The documents released by whistleblower Edward Snowden on the US National Security Agency (NSA) and the UK’s Government Communications Headquarters (GCHQ) have revealed the vast extent of state surveillance undertaken in secret in the name of “national security”. However, absorbing vast amounts of digital information is not solely the preserve of secretive security agencies. Increasingly, police forces are taking a similar approach. However, organisastion and campaigning have the potential to slow and possibly halt such developments. (6) acquisition of information regarding communication organisations, practices, procedures and equipment. More specifically, the agreement was between the US Army-Navy Communication Intelligence Board (“representing the U.S. State, Navy and War Departments and all other U.S. Communication Intelligence authorities which may function”) and the London Signal Intelligence (SIGINT) Board (“representing the Foreign Office, Admiralty, War Office, Air Ministry, and all other British Empire Communication Intelligence authorities which may function”). Canada joined the Agreement in 1948, and Australia and New Zealand in 1956. Norway (1952), Denmark (1954), Germany (1955), Italy, Turkey, the Philippines and Ireland are also party to the agreement. Together the UK, USA, Canada, Australia and New Zealand make up the ‘Five Eyes’ states. They share intelligence and information on a variety of issues, and from a whole host of sources – not just SIGINT – including human intelligence, defence intelligence, and security intelligence. There are a number of other ‘Eyes’ groups with varying countries involved. During the Cold War the primary interest of these agencies was communism and the activities of the Soviet Union, its satellite states, and their agents. Now they appear chiefly focused upon terrorism, industrial espionage, and cyber-security (for example with a focus on hackers and cyber-attacks). In 1988 the journalist Duncan Campbell revealed that Australia, Canada, New Zealand, the UK and the USA were operating a global telecommunications interception system, which became known popularly as ECHELON. Agencies such as the UK’s Government Communications Headquarters (GCHQ) and the US’ National Security Agency (NSA) played a key role in this network. A decade later the issue began to receive political attention in Europe, most notably with the publication of three European Parliament reports, one of which concluded, amongst other things, that Member States involved with the system were probably in breach of Article 8 of the European Convention on Human Rights. Despite the furore, nothing happened. Rather than taking action to rein in the NSA’s capabilities, US politicians apparently gave the agency the green light to expand. According to NSA whistleblower Adrienne J. Kinne, after 9/11 “basically all the rules were thrown out the window” and extensive surveillance of US citizens as well as foreign nationals increased massively, in the name of combating terrorism. As an aside, the centre will have a significant environmental impact: according to Bamford it will use 65-megawatts of electricity per year and its water system will have the ability to pump 1.7 million gallons of liquid per day. It also has its own sewage system, and a massive air conditioning system to keep computers cool. 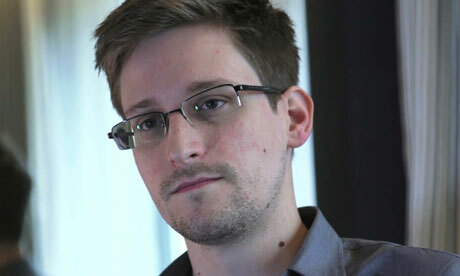 Then, in June 2013, investigations based on documents obtained by Edward Snowden confirmed the involvement of Global Crossing and other firms in the worldwide surveillance operation and the extent to which the NSA and its allies, such as GCHQ, are able to monitor personal communications. Agreements with companies such as Global Crossing and BT, as part of the FAIRVIEW program, allow the NSA to extract internet traffic as it travels across the globe; the agency extracts information directly from the servers of major US internet corporations such as Google, Facebook and Yahoo; gathers information on hundreds of millions of text messages and phone calls every day; and has broken or circumvented digital encryption standards. GCHQ, meanwhile, which over the last three years has received £100 million from the NSA for its efforts, also engages in cable tapping, monitors phone calls and text messages, and so forth. It provides information and analysis to MI5, MI6, the government, and also the NSA, who apparently consider the comparatively weaker regulation of its British counterpart as a “selling point”. Broadly speaking, it seems that the NSA and its partner agencies are aiming to collect, if not everything, then as much digital information as they possibly can. People generate this information through increasingly-ubiquitous devices such as smartphones, laptops, etc. ; the advances that have led to these devices allow state agencies to store and process the information. The result is an enormous haystack which is apparently used to sift out the various needles: terrorists, hackers, spies, companies breaking sanctions and trade embargoes, etc. The NSA, GCHQ and their supporters claim that the agency is incredibly judicious with this information, but significant lack of transparent oversight arrangements means it is not clear that this is the case. In any case, it does not justify collecting it all in the first place. Nevertheless, the “haystack” approach – the collection and analysis of vast sets of digitally-stored data – has become, or is becoming, increasingly adopted in law enforcement. All this information is collected by commercial companies for their own use. Law enforcement agencies, however, decided that it may be useful to them. It is worth noting that although the NSA apparently collects “travel itineraries” (see Bamford quote, above), it presumably does not share them with the DHS. If it did, there would have been no need to conclude a separate agreement with the EU to ensure that airlines and travel agencies hand over PNR information. Currently there is EU legislation on the table that if passed would extend the system to flights coming into the EU – and possibly plane, train and boat travel within the EU – despite the fact that no evidence has been presented to show the value of PNR in dealing with terrorism and crime. Justifications from law enforcement agencies that have been made public have relied on anecdotes. The same problem surrounds the EU’s controversial Data Retention Directive, which mandates the collection by telecommunications service providers of metadata on telephone calls and internet use for up to two years, for law enforcement purposes. These “solutions” are frequently marketed to governments by multinational IT and security corporations as “solutions” to the problems of terrorism, crime and “migration management”. The fact that states and state agencies frequently purchase such systems shows the extent to which they see large-scale collection and processing of data to be a valid and effective way of dealing with security problems. Given the amount of personal data that is routinely generated, collected and stored by private companies and non-law-enforcement government departments, there are clearly vast possibilities for more extensive surveillance. However, such developments are by no means inevitable. Campaigning prevented the Snooper’s Charter becoming law, legal challenges from NGOs may well see the Data Retention Directive struck down, and the negotiations on an EU PNR system have for some time now been stalled due to civil liberties concerns. Ensuring transparency and basic accountability of security and intelligence agencies (as called for by campaigns such as Don’t Spy On Us in the UK and Stop Watching Us in the US) is the first step towards ensuring that these bodies are compelled to act within a framework based on human rights and the rule of law. There’s always lots of bad news, but there are plenty of reasons for optimism too. Author of a number of books on the NSA: The Puzzle Palace (1982 and 2001); Body of Secrets (2002), The Shadow Factory (2008). This entry was posted in Blog and tagged Blog, Don't Spy On Us, GCHQ, Key blog posts, NSA, Snooper's charter, Snowden, Social control, Stop Watching Us, Surveillance, Technocracy, Technology. Bookmark the permalink.